At Bigfork Builders, Inc. every project rests on a firm foundation of lasting relationships, clear communication, integrity and unsurpassed attention to detail. Our dedicated executive team and crew of experienced and knowledgeable craftsmen have been providing creative solutions for clients with extraordinary residential building dreams for more than two decades. 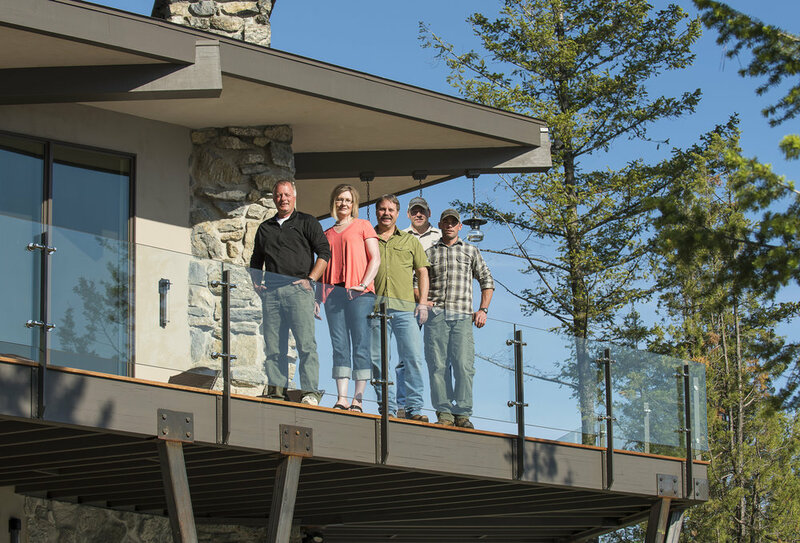 At Bigfork Builders, every project is assigned its own crew and executive supervisor for the duration of the construction process, so the same people who start a home are also the ones who finish it. Company owners, Brad Reedstrom and Andrew Fischer, are also on site from the first nail to the final walk-through to help guide clients through the design and building process. This unique, hands-on building philosophy allows us to maintain control over every phase of the building process, reduces the frequency of scheduling interruptions and maximizes accountability, productively and overall quality. Our commitment to superior standards and unsurpassed personal service are second to none and have earned us an outstanding reputation within the home building industry. Andrew “Andy” Fischer is Co-owner of Bigfork Builders, Inc. and also serves as the corporation’s President and Construction Manager. Andy holds a Construction Management degree from Riverland Technical College in Faribault, Minnesota and is responsible for managing the company’s production, logistical and safety operations. Andy works very closely with clients, architects, project engineers and subcontractors to identify potential design and structural issues and also helps implement the technical solutions and specialty systems required to resolve them. Andy takes great pride in the rock-solid reputation that he’s helped to establish for the company and he is on the job site every day helping to ensure the exceptional quality that shines through in every Bigfork Builders home. He was among the first builders in Montana to earn the National Association of Home Builder’s designation as a Certified Green Professional (CGP) and is also an active Member of the Flathead Building Association. He was a founding Member of the Association’s Student Built Housing Project and has co-chaired the Inspection & Judging Committee for the Association’s annual Flathead Valley Parade of Homes. Brad Reedstrom is Co-owner and Vice President of Bigfork Builders, Inc. and also serves as the company’s Operations Manager. He helped to establish the corporation in 1992 based on the philosophy that “the defining ingredient in quality building is craftsmanship performed by people who deeply invest themselves in what they do”. Over the past twenty-five years, he has helped to elevate construction to the level of an art form by assembling an incredible team of talented professionals who pride themselves on their ability to exceed their clients' expectations. Brad received his degree in Construction Management from Riverland Technical College in Faribault, Minnesota and was employed as a Project Supervisor for a multi-million dollar custom home builder in Jackson Hole, Wyoming prior to co-organizing Bigfork Builders. He earned the National Association of Home Builder’s designation of Certified Green Professional in 2008, is an active Member and former Board Member of the Flathead Building Association and served as Chairman of the Association’s Student Built Housing Project for twelve years. Brad oversees the company’s financial and business development activities, sales and client relations and his goal is to provide each and every client with a living space which reflects their unique architectural visions and personal lifestyle. Kendra Espinoza joined the Bigfork Builders executive team as Office Manager in February 2017, bringing many years of accounting, payroll administration and office management experience to the table. 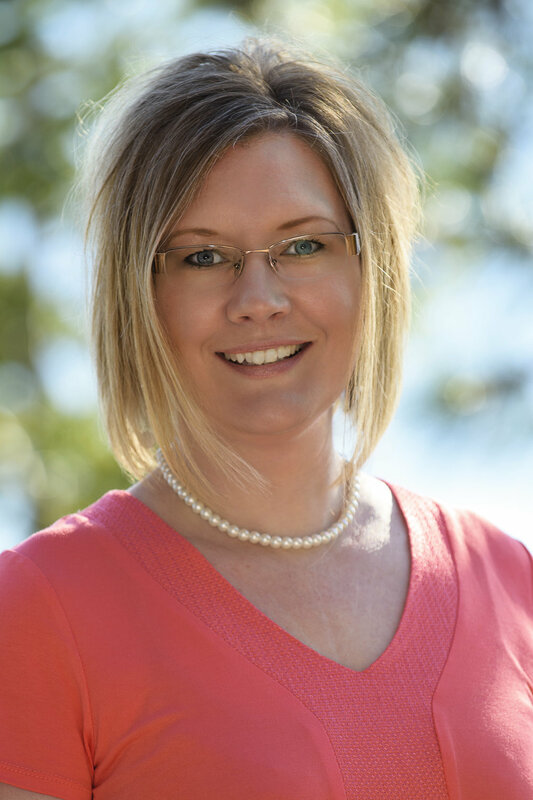 Kendra was professionally educated in Canada in the fields of accounting and bookkeeping and previously managed the financial and payroll departments of several fast-paced companies with offices and locations spanning multiple states within the US. She has been living in the Flathead Valley since 2009. In addition to her professionalism and a keen eye for detail, Kendra brings with her a uniquely creative personality allowing her to assist in the areas of marketing and design and she strives to ensure that every project she undertakes is both accurate and advantageous for the client and the company. Gary Kristensen has been an integral part of the Bigfork Builders production team since our first home was built almost twenty-five years ago, initially as a Master Carpenter and now in his present capacity as Executive Supervisor. He received an Associates degree in Applied Sciences and Natural Resource Technology from Vermillion Community College in Ely, Minnesota and holds an Associates degree in Carpentry from Alexandria Technical Institute in Alexandria, Minnesota. Gary possesses a comprehensive understanding of the systems and methodologies that are employed in home construction and his technical expertise, time-management skills, leadership abilities and outstanding work ethic help to ensure that every project we undertake goes as smoothly as possible. Coby Schaefer started as a Master Carpenter with Bigfork Builders, Inc. nearly eighteen years ago. He was promoted to Project Foreman in 2007 and began supervising his own production team in 2011, when he was promoted to his present position as Executive Supervisor. Coby attended Metropolitan State University of Denver, where he studied welding, drafting and blueprint design and has completed the Comprehensive Job Site Safety and Construction Standards Training Program which is offered through the Montana Building Industry Association. Coby recognizes the importance of the smallest details when managing building projects for our clients and his knowledge of construction materials, local building codes and building industry standards helps to promote the operation of a safe and environmentally respectful job site.